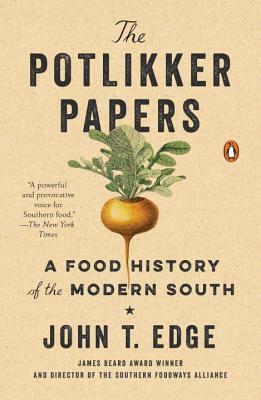 The Potlikker Papers: A Food History of the Modern South (Paperback) | novel. “The one food book you must read this year." John T. Edge is a contributing editor at Garden & Gun and a columnist for the Oxford American. In 2012, he won the James Beard Foundation's M.F.K. Fisher Distinguished Writing Award. Edge is director of the Southern Foodways Alliance at the University of Mississippi and a visiting professor in the Grady College of Journalism at the University of Georgia. He has edited or written more than a dozen books, including The Potlikker Papers: A Food History of the Modern South. Edge has served as culinary curator for the weekend edition of NPR's All Things Considered, has been a columnist for the New York Times, and now hosts the broadcast television show TrueSouth on SECNetwork/ESPN. He lives in Oxford, Mississippi, with his son, Jess, and his wife, Blair Hobbs.